Your initial appointment will consist of any necessary radiographs (x-rays), diagnosis and a consultation regarding your treatment options and, in many cases, we can proceed with immediate treatment. 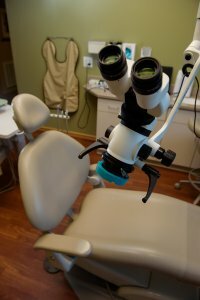 If your tooth has had prior root canal treatment, we may schedule another appointment for retreatment or endodontic surgery. If you are in extreme pain, we will make every effort to relieve your pain through emergency treatment and schedule you for any necessary follow-up. Please alert the office if you have a medical condition that may be of concern prior to treatment (such as diabetes, high blood pressure, artificial heart valves and joints, etc.) or if you are on any medication (including heart medications, aspirin, anticoagulant therapy, bisphosphonate and others). If your dentist or physician has taken x-rays, please have them forwarded to our office as they may be helpful in our diagnosis. A digital radiograph can be emailed to us at or provided by your dentist along when they complete our online referral form. If additional films are necessary, they can be taken at our facility (commonly at no additional fee). We use digital radiography, which allows 90% less radiation exposure than conventional x-rays.